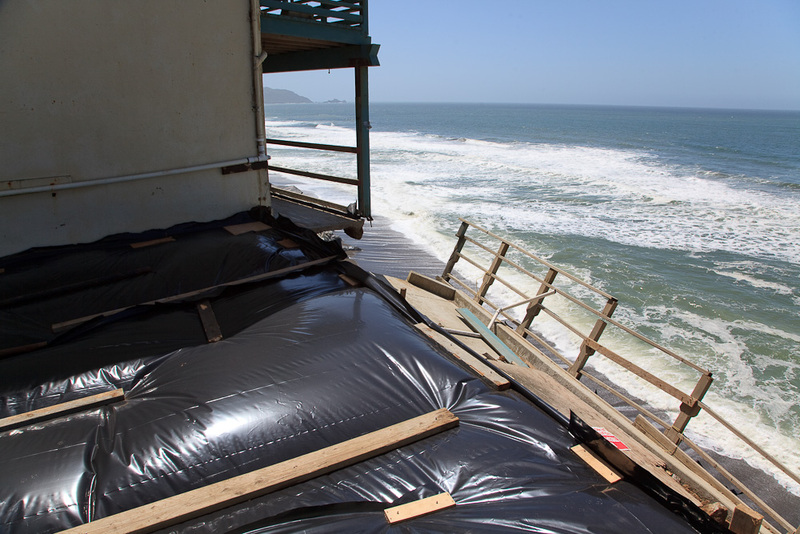 News from a source on Esplanade Avenue in Pacifica: the second-storey balcony behind 330 Esplanade has begun to sag. 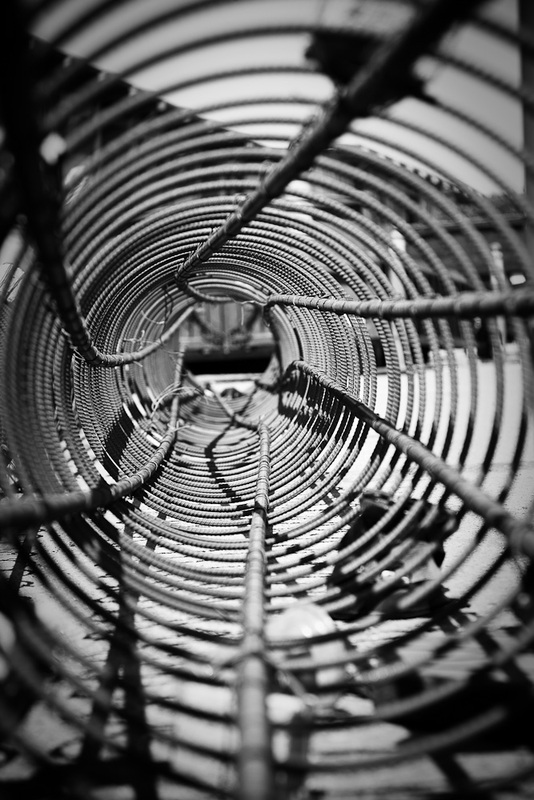 See the larger, original sized images on Flickr here. 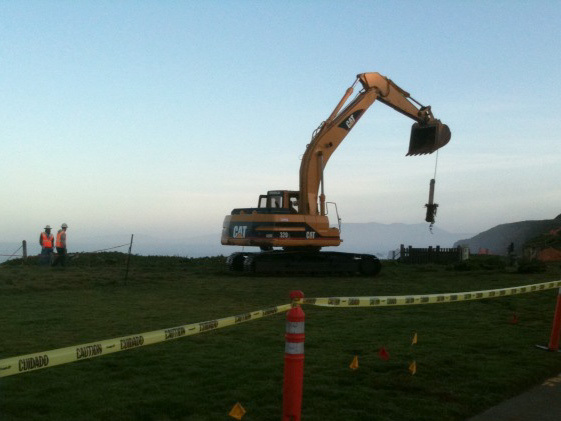 From the Fix Pacifica blog comes news of a civil suit filed in San Mateo Court by Engineered Soil Resources against Millard Tong for payment due for work done since Fall 2008. 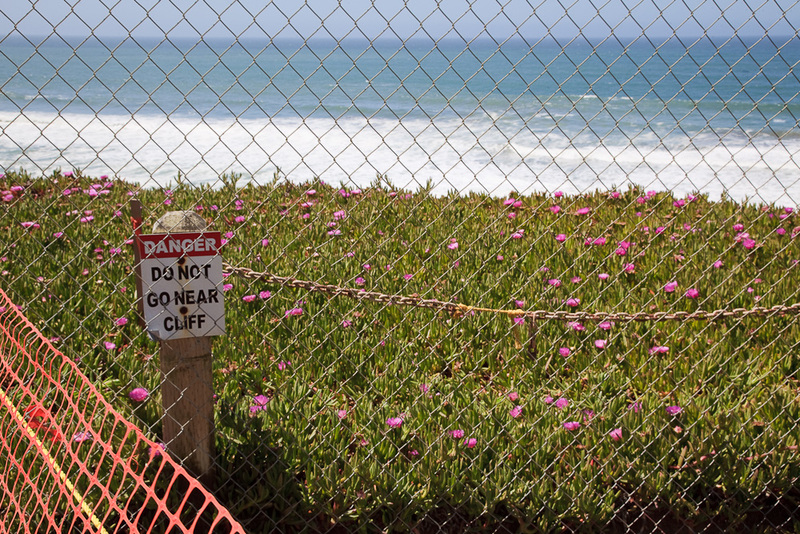 (Fix Pacifica: The Crumbly Cliffs lawsuits begin). 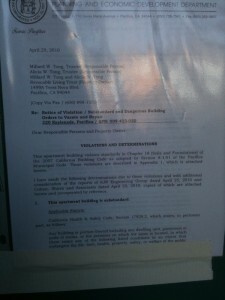 According to the Complaint, Tong has refused to pay all amounts due to work done on both 310 Esplanade Ave, and 320 Esplanade for work dating back to 2008. 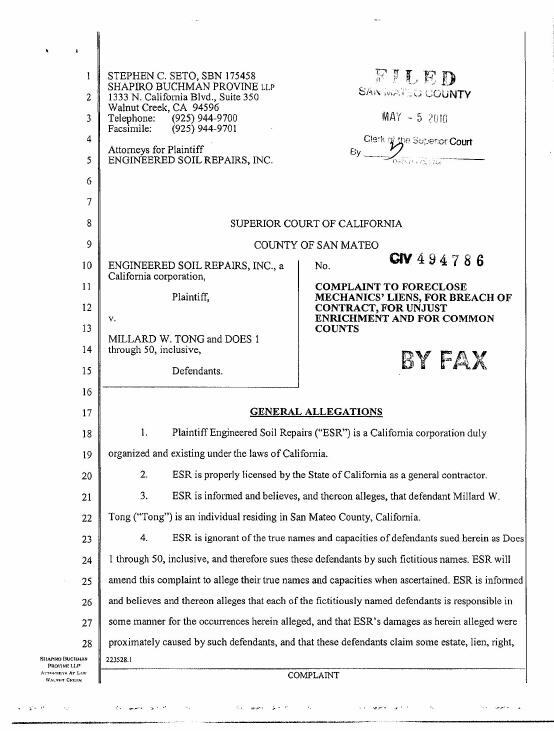 This is only one side of the story, and we’ll have to wait to learn why Tong chose to delay or deny payment. 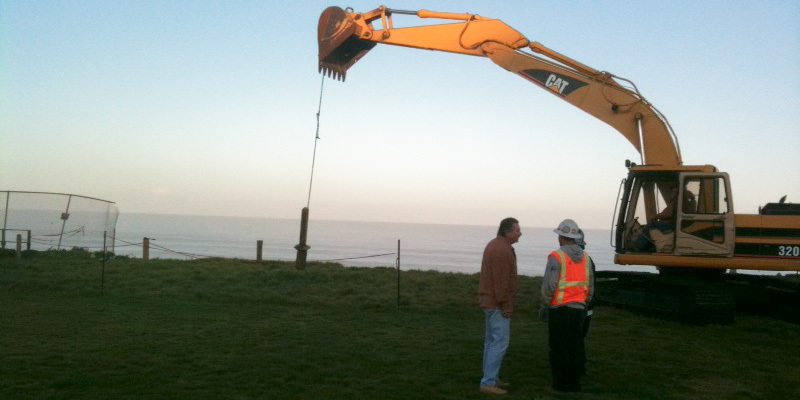 Complaint To Foreclose Mechanics’ Liens, For Breach Of Contract, For Unjust Enrichment And For Common Counts. 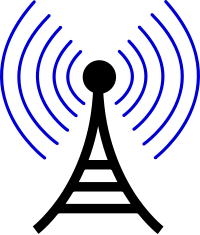 San Mateo Online Access to Court Case Information website document link. Actions in Case CIV494786. 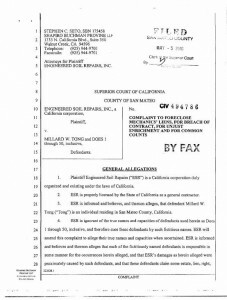 List of on-going actions in the case on the San Mateo court website: link. 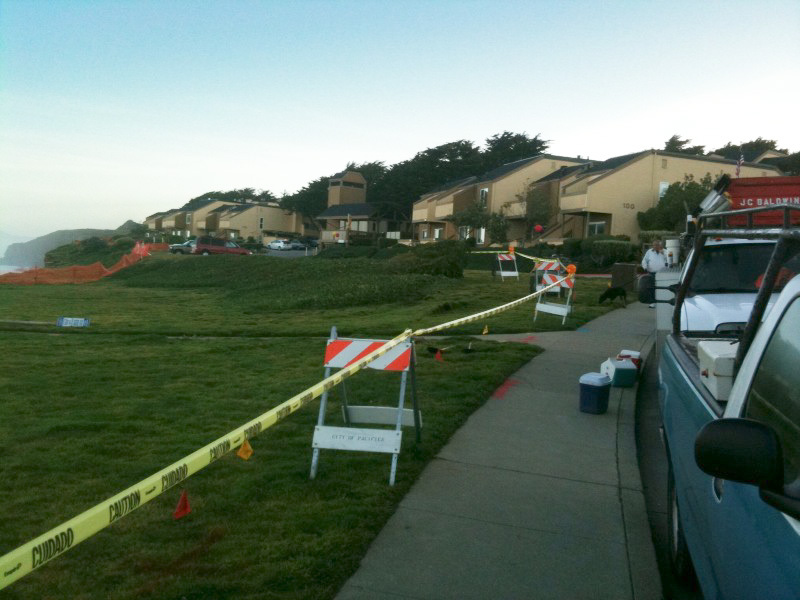 05/06/2010 NOTICE OF PENDING ACTION (LIS PENDENS – 320 ESPLANADE AVENUE) FILED BY ENGINEERED SOIL REPAIRS, INC..
05/06/2010 NOTICE OF PENDING ACTION (LIS PENDENS – 310 ESPLANADE AVENUE) FILED BY ENGINEERED SOIL REPAIRS, INC..
05/05/2010 30 DAY SUMMONS, ISSUED AND FILED. Complaint as of May 17, 2010: A-0000124931-1.complaint. 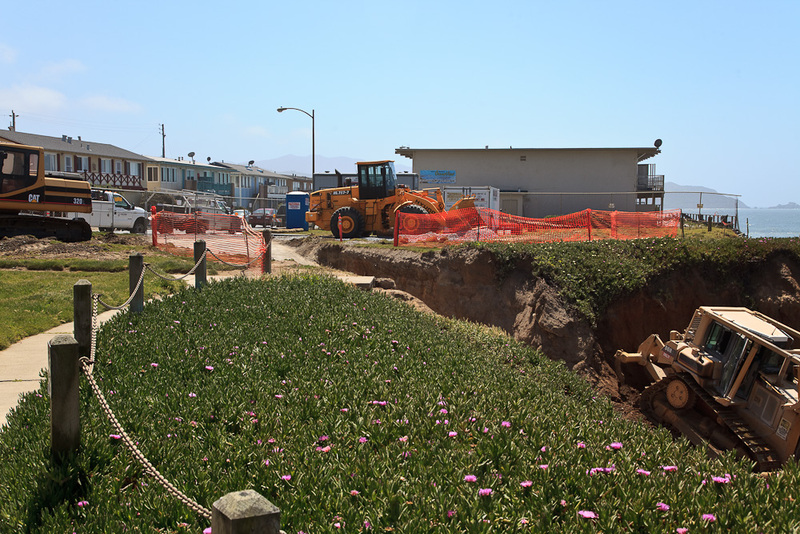 On Thursday April 29 the owner and few remaining residents of 320 Esplanade received from Pacifica a Notice of Violation / Substandard and Dangerous Building, Orders to Vacate and Repair and a deadline of Sunday May 2nd, 11:00 PM, to vacate the building. For details on the notice see my post Orders to Vacate and Repair – 320 Esplanade. 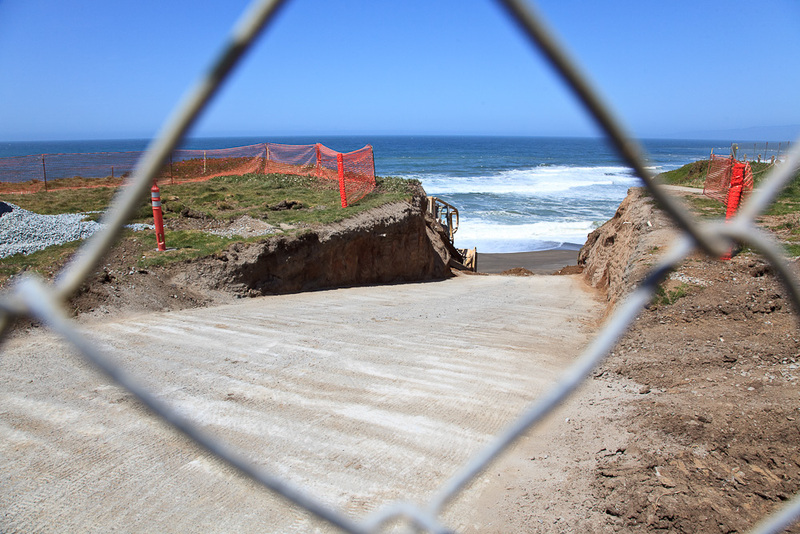 City officials from the Planning and Development Department who ordered residents to vacate the building reportedly did so out of seismic concerns, rather than for erosion caused by surf or ground-water. 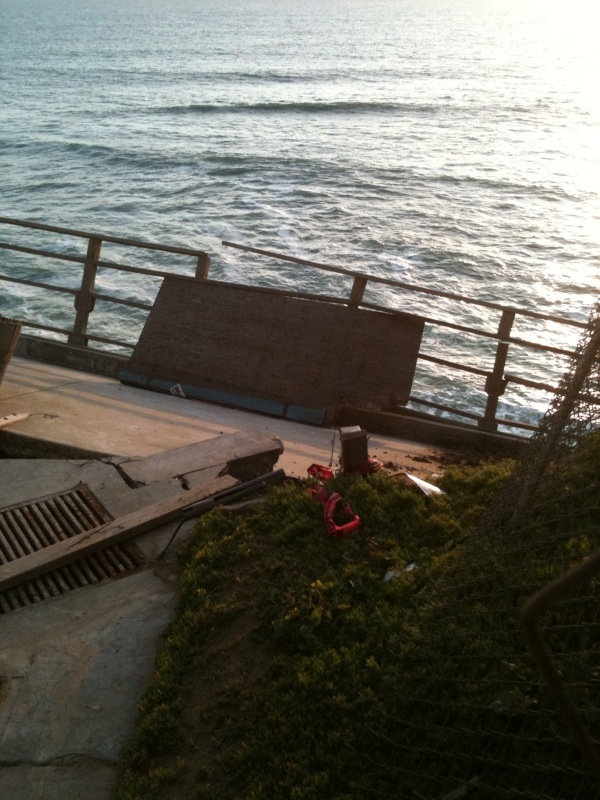 Residents and observers have known that the loss of the protective bluff left the building in a precarious state. 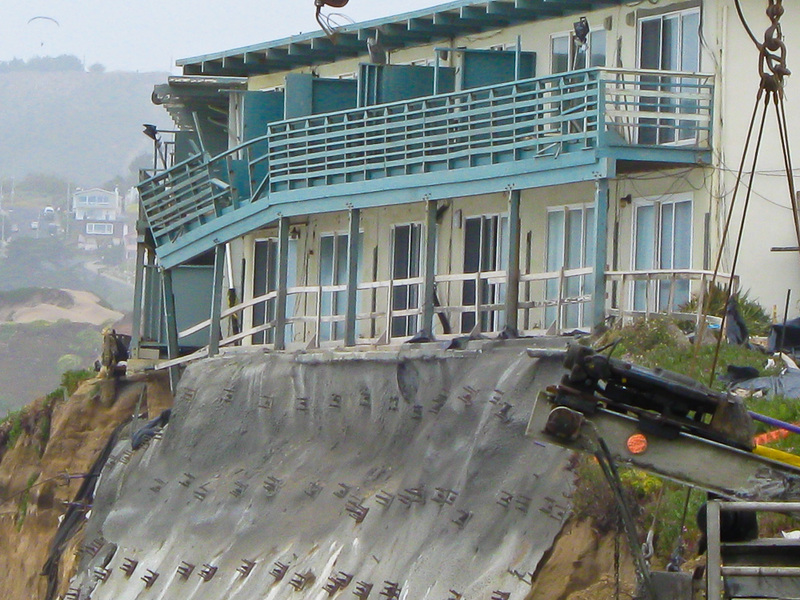 Apparently the latest engineering reports called into question the viability / practicality of replacing the bluff in order to make the buildings safe. 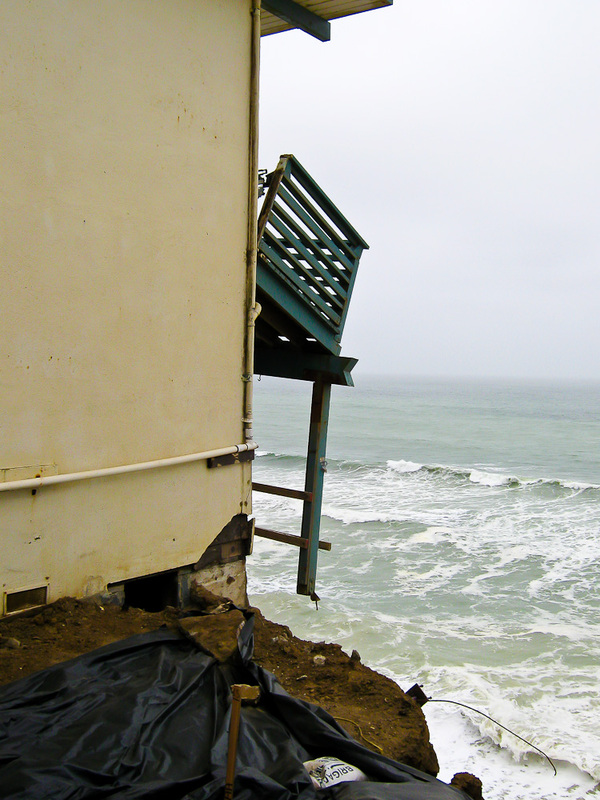 San Francisco Chronicle, SFGate.com by Henry K. Lee, Residents evacuate precarious Pacifica building. 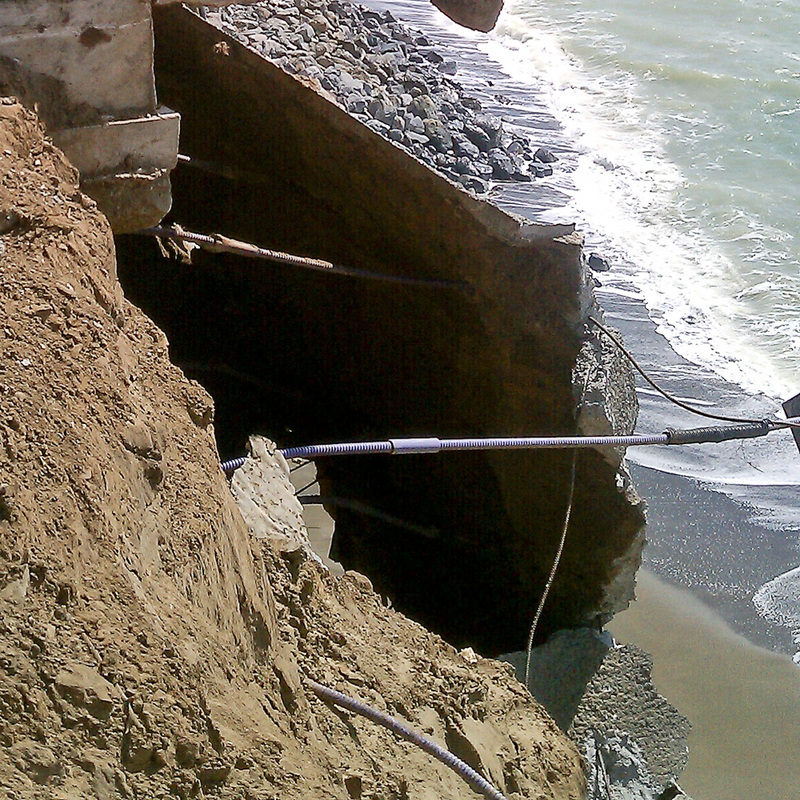 KTVU-TV 2 (FOX), KTVU.COM aired the story yesterday evening (4/29), Erosion Continues Pummeling Pacifica Cliff. 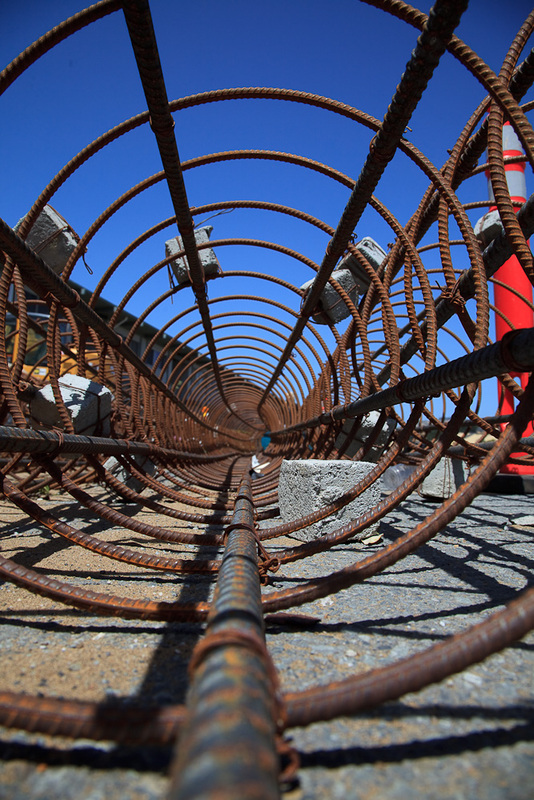 The KTVU stories emphasize the seismic risk of the precarious building. KTVU also has nice raw video shot from a helicopter over Esplanade accompanying this story: Concrete Restraining Wall Fails; Pacifica Complex Evacuating. 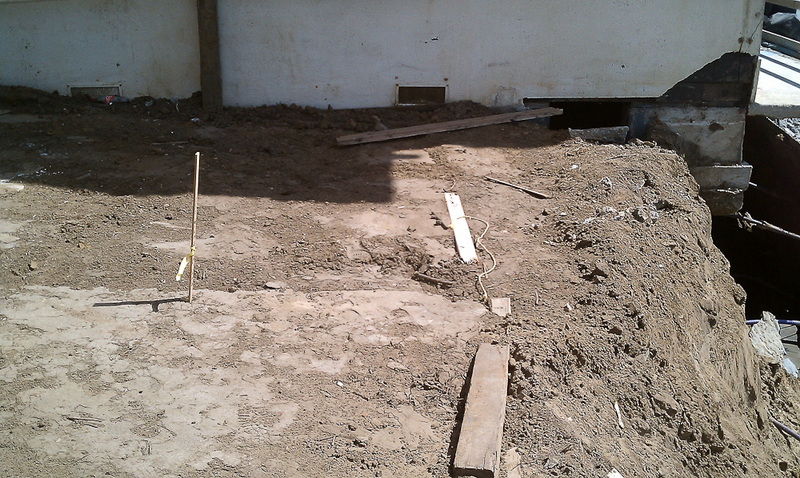 The sprayed concrete below the patio did fail. 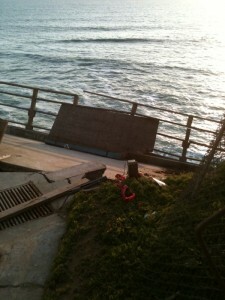 The video and pictures shows it has slipped down and peeled away from the sandy bluff wall. 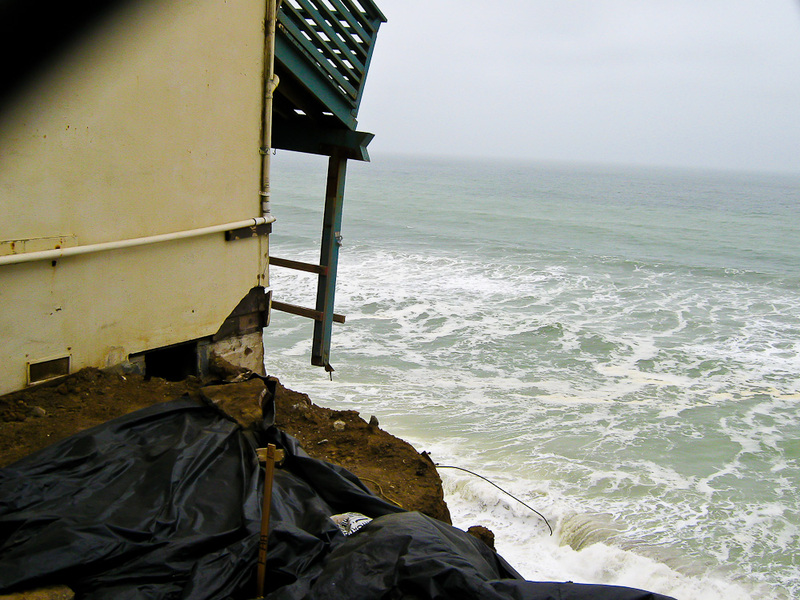 The building, located at 320 Esplanade Ave., is next door to a property that was evacuated in December after the cliff supporting it began to fall away. 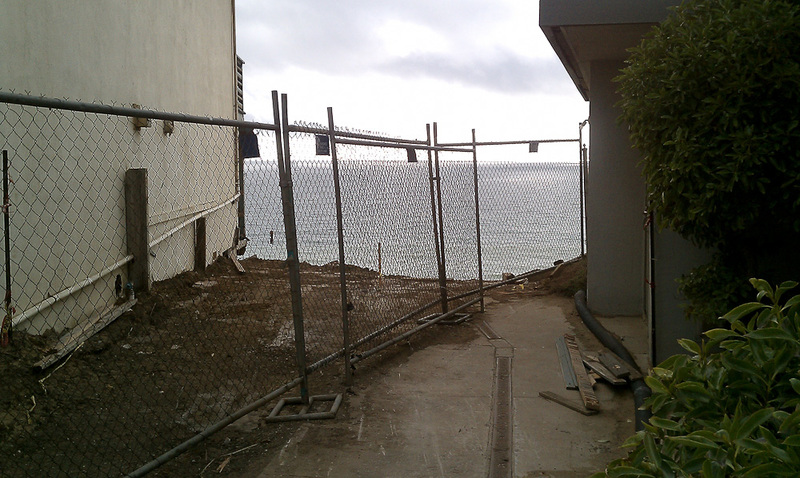 After residents evacuated 330 Esplanade Ave. in December, a private company began construction on a concrete wall to hold up the cliff. 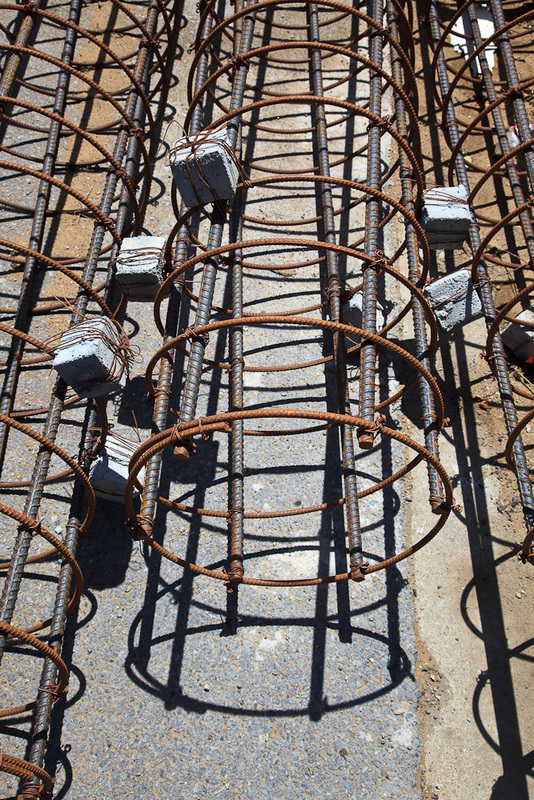 The wall was not completed due to financial constraints, Rider said. 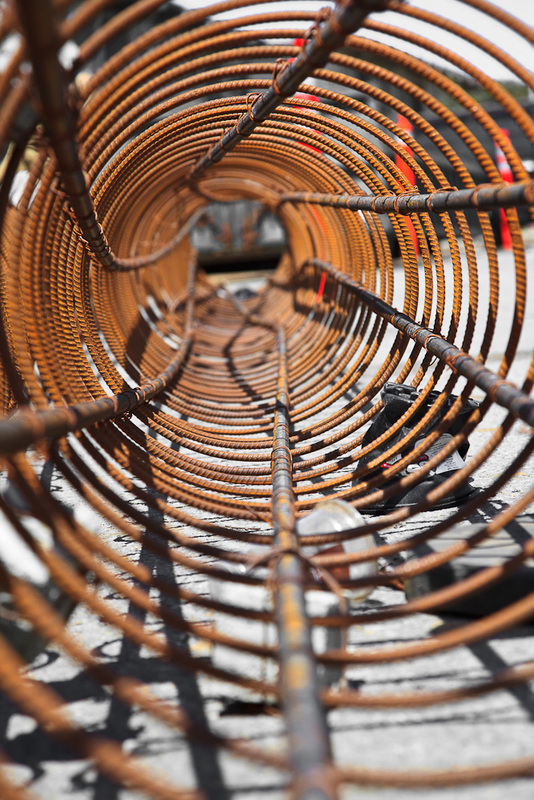 The building owners were responsible for financing the project and were unable to get supplemental money from federal agencies. 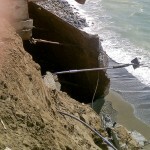 This week, rain washed away the sand behind the wall, causing it to crack and pull away from the cliff, Rider said. 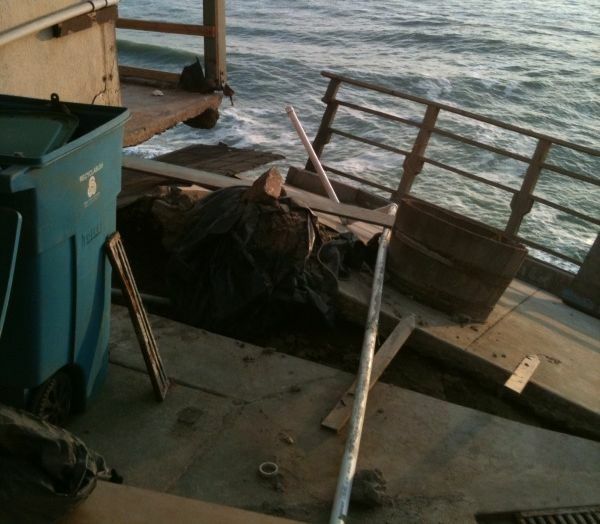 The building is now in danger of falling into the ocean. 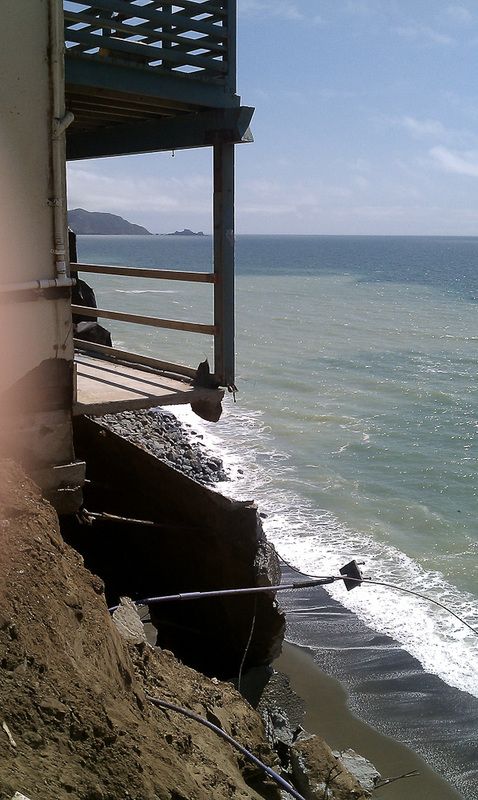 KGO-TV 7 (ABC), Crumbling cliff in Pacifica to force more evacuations. 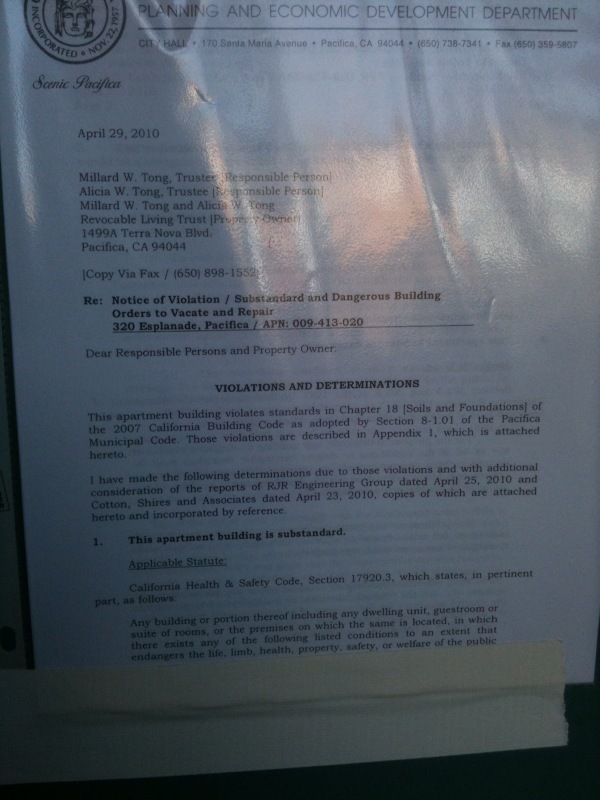 Taped to the front door of each apartment of 320 Esplanade today was a”Notice of Violation / Substandard and Dangerous Building” from the City of Pacifica. Following is a transcription of the first page. If anyone has a copy of the full set of the documents for me, I’d be glad to post them. 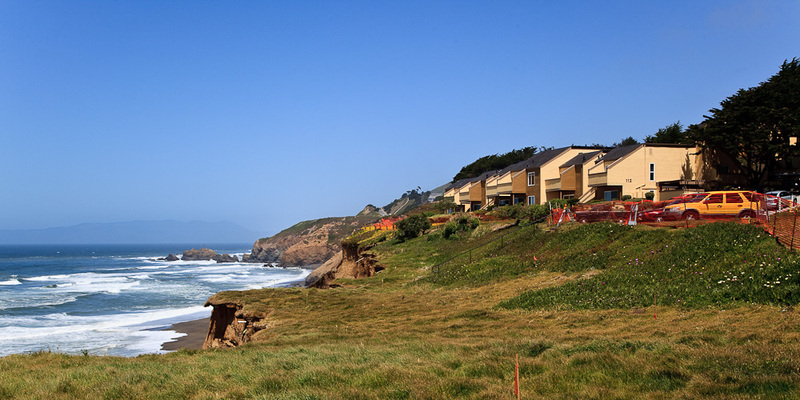 This apartment building violates standards in Chapter 18 [Soils and Foundations] of the 2007 California Building Code as adopted by Section 8-1.01 of the Pacifica Municipal Code. Those violations are described in Appendix 1, which is attached hereto. I have made the following determinations due to those violations and with additional consideration of the reports of RJR Engineering Group dated April 25, 2010 and Cotton, Shires and Associates dated April 23, 2010, copies of which are attached here to and incorporated by reference. 1. This apartment building is substandard. 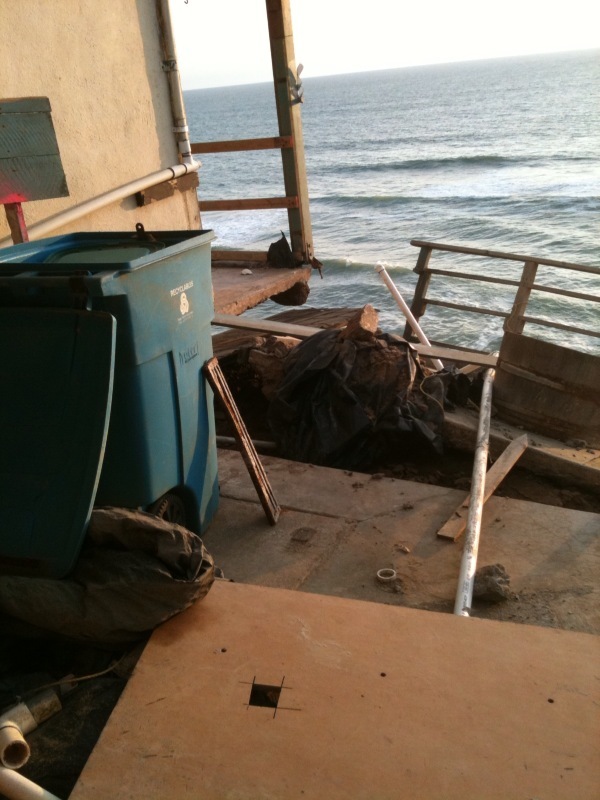 The beach ramp for moving rock and equipment down to the beach below the Lands End “dog park”, and, more pictures of the failing bluff-top patio between 330 and 320 Esplanade Ave. Pacifica, CA. The city has given the owners along Esplanade until Thursday (April 22) to come up with a new analysis to prove the buildings should stay. 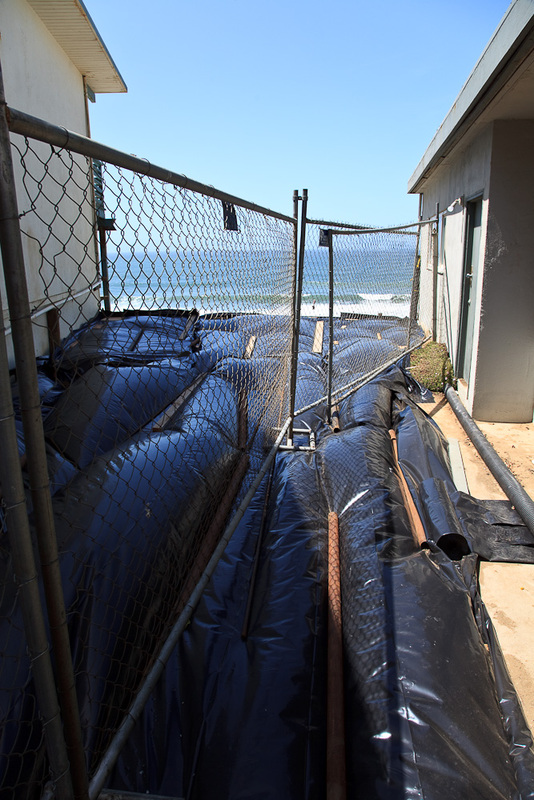 Pacifica has given them (the owners of 310, 320 and 330 Esplanade) a deadline of Thursday to present a plan with evidence that the buildings can be made safe enough to occupy. 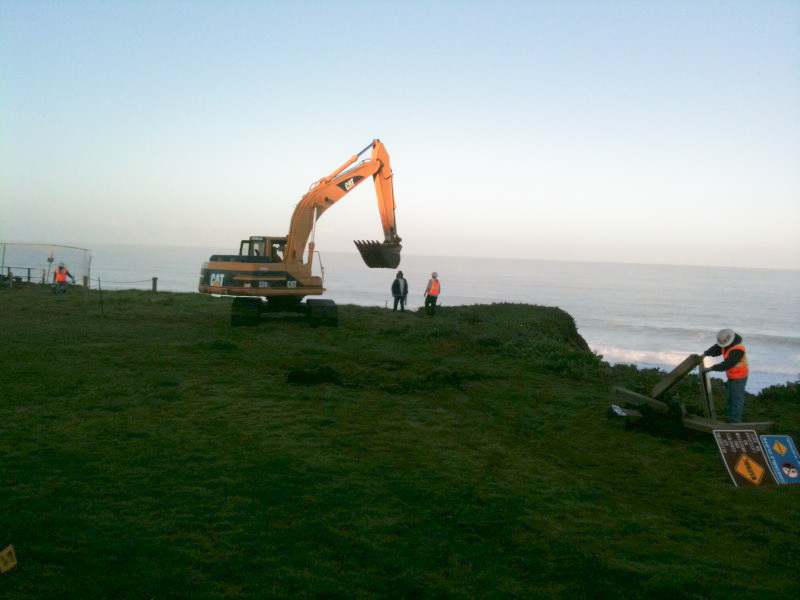 The owners appear to be disagreeing on a coordinated solution to the bluff erosion problems, but I’ll bet the underlying issue is financing. The most important similarity among the owners along Esplanade is probably not the location of their buildings, but the challenges of running a profitable business as a landlord on Esplanade. 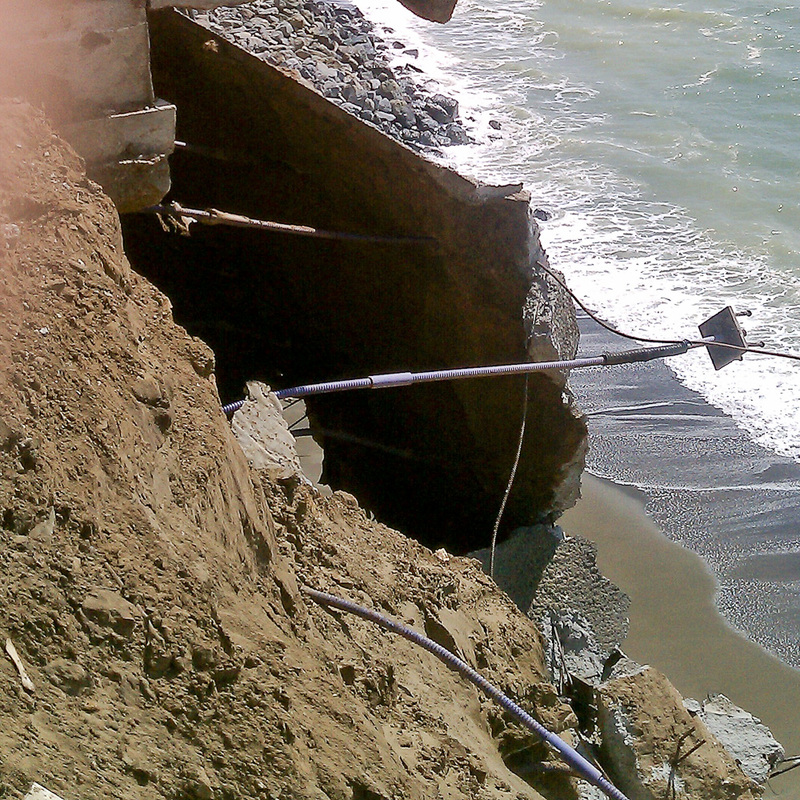 In a KTVU.COM KTVU / TV36 (FOX) story Erosion Damage Weakens Pacifica Cliff by Lloyd Lacuesta, an agent for one of the owners told (him) that they have yet to complete the attempts to shore up the cliff because they need some $2 million dollars to finish the job and can’t get a loan. 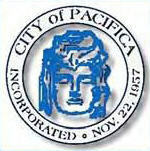 We have heard directly from the City Council that Pacifica can’t afford to buy the buildings or bail out the owners. 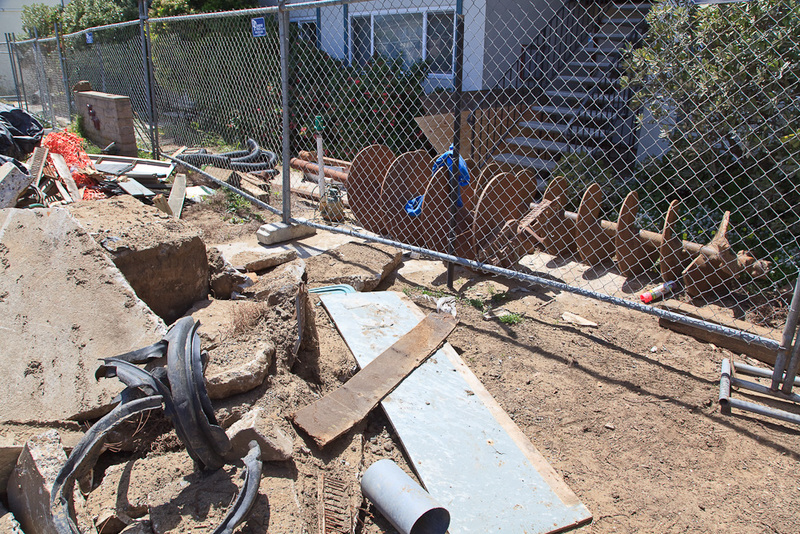 The City of Pacifica does need to protect the street and utilities under and over it, but it can probably do that with disaster assistance funds once the privately owned apartment buildings are gone. The scenario I expect is for 330 and 320 Esplanade to be condemned, and then the owners to be required to demolish them and remove the rubble. KPIX-TV 5 (CBS) CBS5.COM. Raw Video: New Erosion Found at Pacifica Cliff, Tuesday April 20, 2010 1:09 PM. Chopper 5 video shows new damage at the scene of an Esplande Ave. apartment complex in Pacifica Tuesday. 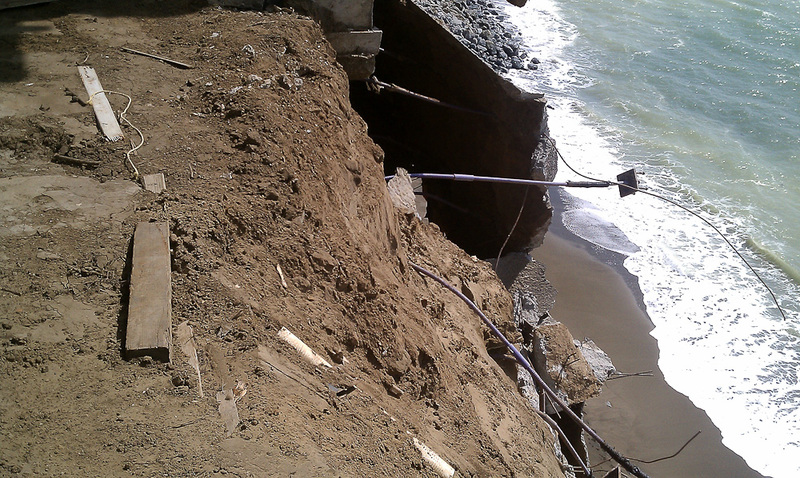 Further bluff collapse beneath 320 Esplanade endangers more of the building. 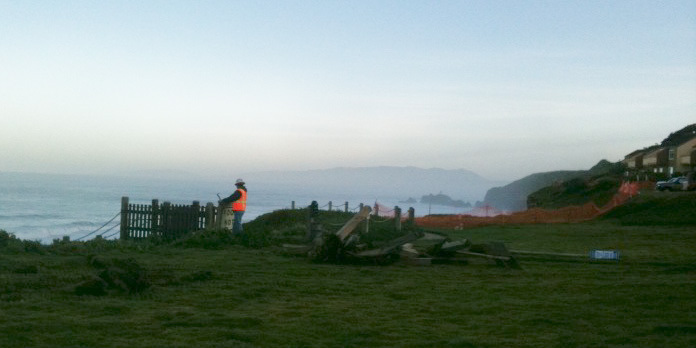 Photo 2: same direction as photo, but showing the brown roof of a shed in the top third of the image. 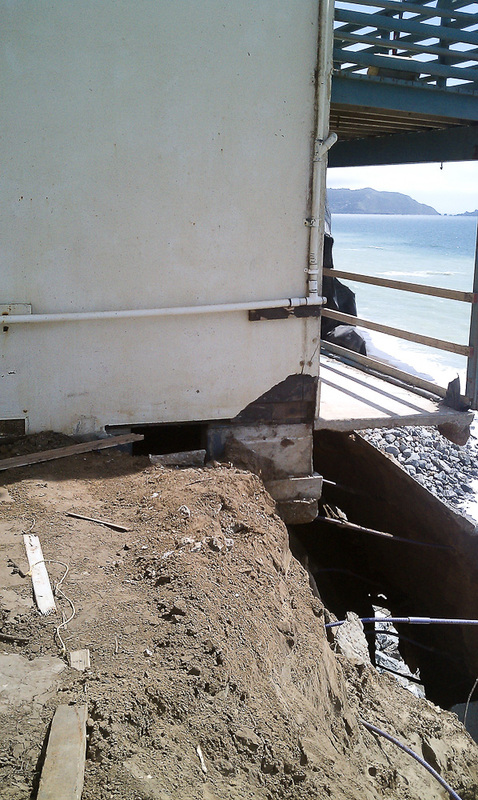 Behind you can see the two-storey deck of 330 Esplanade still standing but now the corner pole is unsupported by the soil / sand of the bluff. The angle of the patio can easily be seen in its tilt down and to the right. Photo 3: detail of photo 3. Photo 4: this is the right side of the patio area, with 320 Esplanade just out of sight to the right. 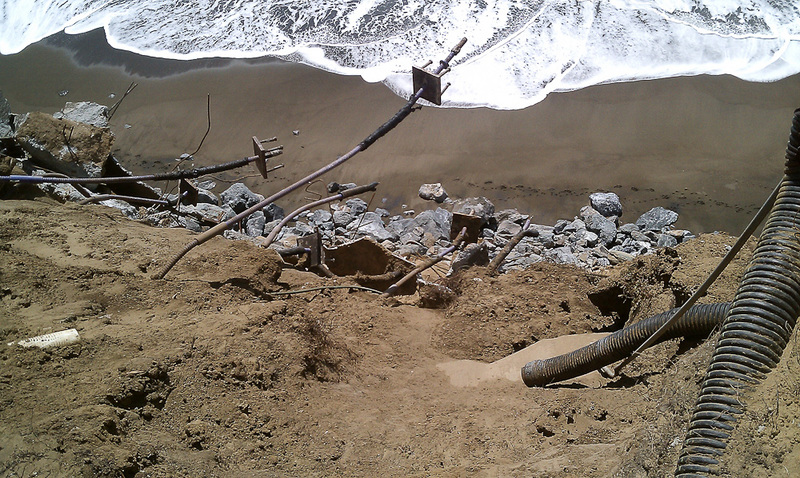 Comprehensive, sobering report from KGO-TV 7 (ABC) More Erosion Threatens Pacifica condo. The building at risk, 320 Esplanade, is apartments not condos. 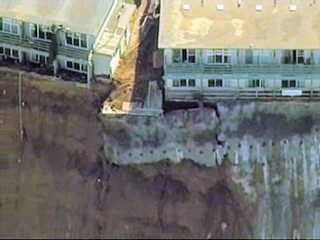 From KGO-TV 7 (ABC): More erosion threatens Pacifica condo (Wayne Freedman). According to the KGO story Pacifica Building Official Doug Rider and City Manager Stephen Rhodes inspected new damage at 320 Esplanade this morning. 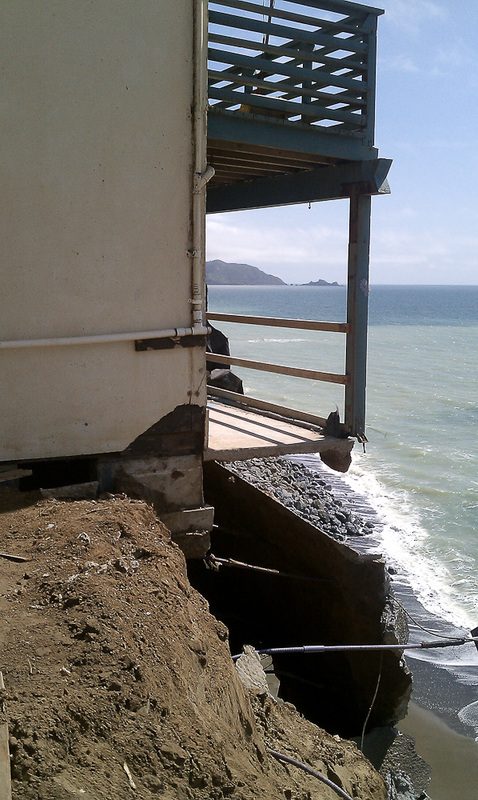 Reportedly, “the collapse took a deck with it, which in turn pulled reinforcing protective concrete from beneath the building next door.” As a result small cracks have now appeared in the building foundation, and Pacifica is considering red-tagging the whole building. The story also mentions some interesting details about the attempts to find funding for the work. I took a look back there this evening and the entire poured concrete patio that spans the distance between the backs of 320 and 330 slid down the bluff one to two feet, and now tilts downward about 40 degrees. 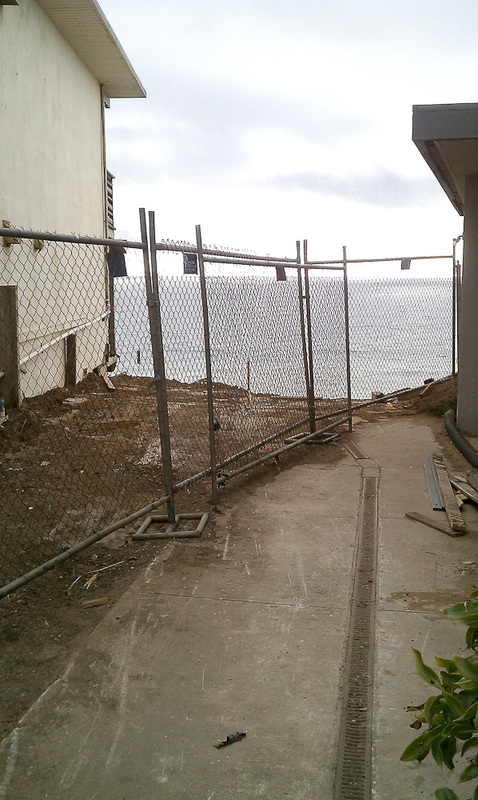 Folks that are familiar with that area will remember a 4′ or 4 1/2′ wooden railing along that patio… that railing is now lower than the walkway leading out to bluff between 320 and 330. 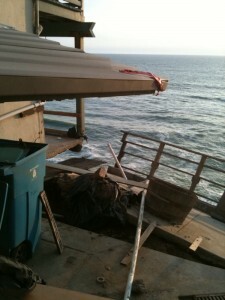 There is now open space between the patio and the buildings on either side, and the entire area looks very precarious. 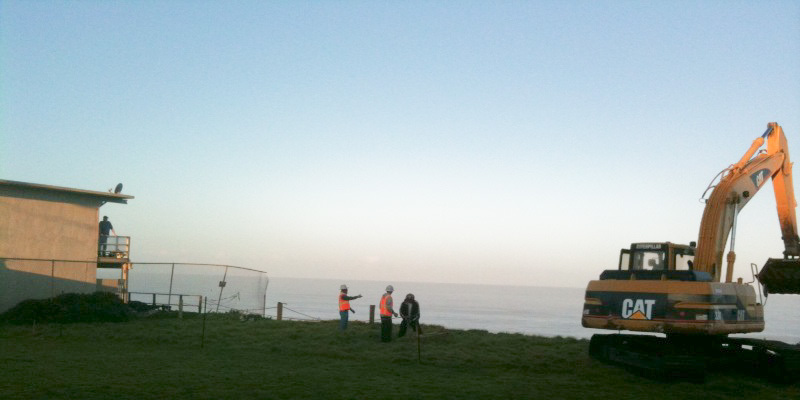 It was pretty shocking, and at this point it looks like that a significant portion of the top of the bluff collapsed. 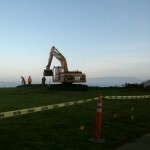 There was no way for me to see the foundation of 320 Esplanade from safely (and legally!) behind the locked gate. Fortunato is clearly one of the good guys in this saga from our perspective, but from what I could see of the patio damage this quote doesn’t make sense. 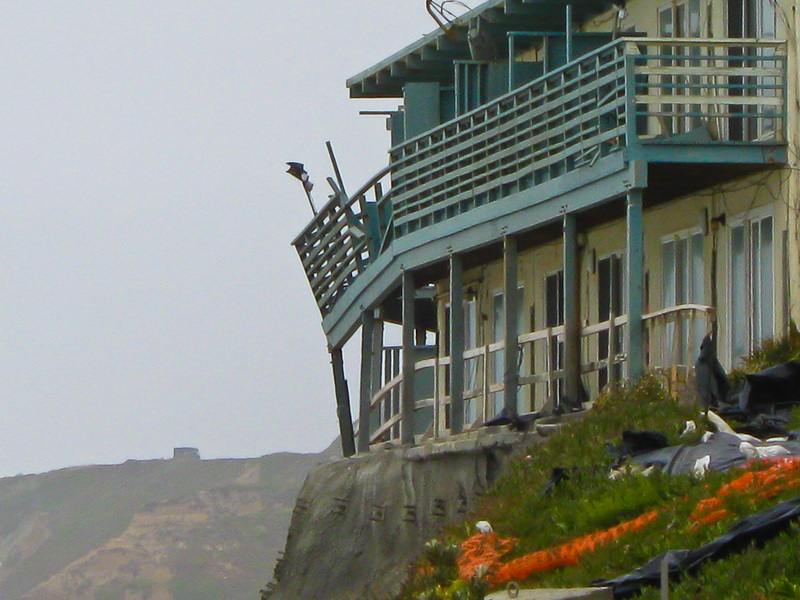 It is hard to understand how the failure of the top of the bluff below the patio can be attributed to any work that was or was not done below a building 20 to 30 feet from the patio. 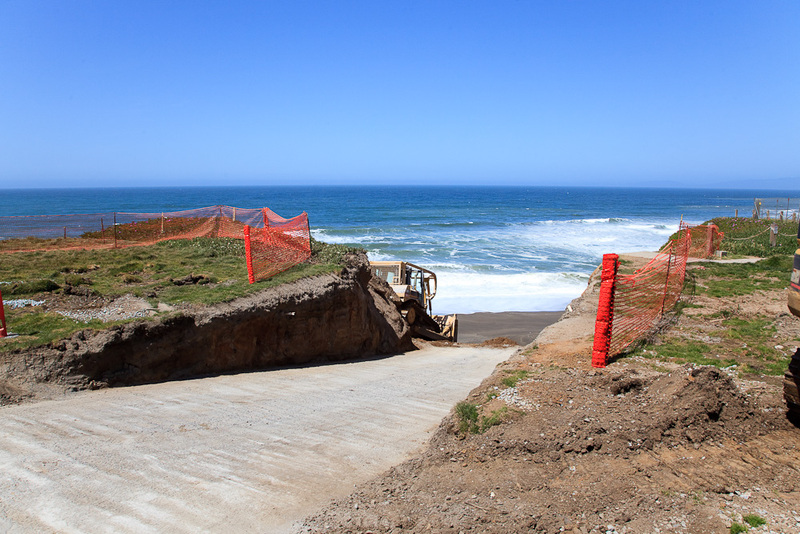 Depending on the extent of the damage to the base of the bluff caused by last week’s high surf, it is possible that this collapse was caused by ground water at the top of the bluff. 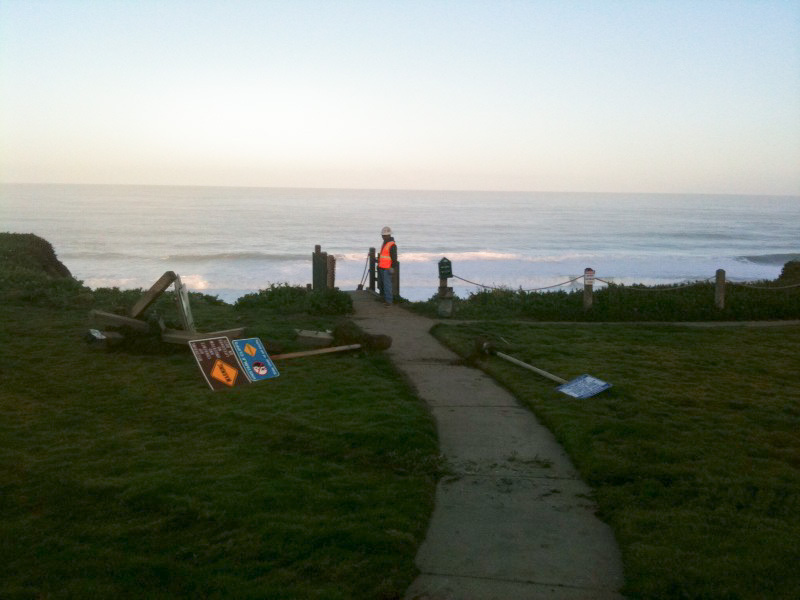 The KRON 4 TV Video below shows the damage, though it is a little hard to understand it. I’ll post some pictures I took there this evening if any of them come out. The following video was shot from the patio running behind 330 Esplanade. 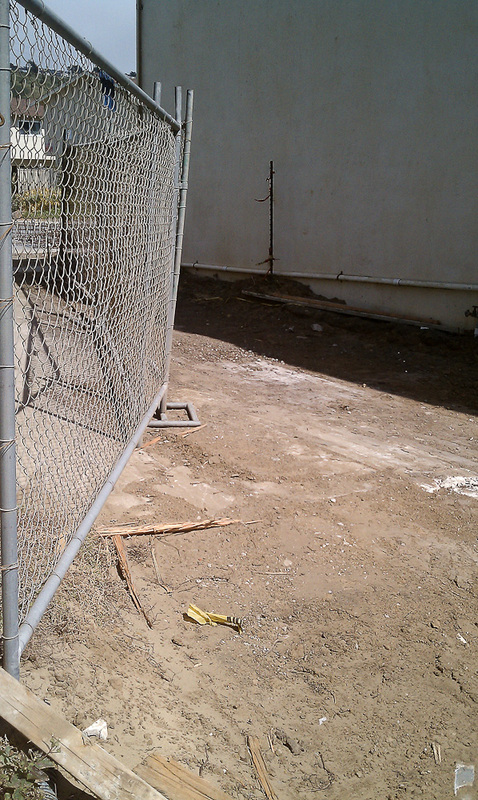 The “patio” is the tilted concrete. Across the patio is 320 Esplanade. 330 has already been entirely red-tagged and evacuated. Only the 6 apartments nearest this patio have been red-tagged in 320.